Sayre School, In Conclusion | Cultural Resource Analysts, Inc.
After spending multiple years working alongside the Sayre students at Waterwild Farm, the excavation was concluded. The students, along with teachers and parents, were an integral part of the process. Students were taught the importance of historic preservation and how we can learn from the past. CRA enjoyed the opportunity to work with Sayre School during this endeavor. The public’s participation in archaeology increases their understanding and support of archaeological projects, and opportunities such as Waterwild are beneficial for all involved. The ideas of preservation are important to pass along to future generations and we at CRA look forward to many more educational experiences. To conclude our work at Waterwild Farm, Tyler Crane, completed a final report of findings for the project in 2011. Crane discusses the excavation and the artifacts recovered during the fieldwork. The final report presents the findings while also discussing the methods and history of the farm. 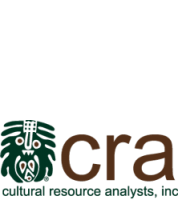 You can download the final report to learn more about the fieldwork at CRA by clicking on the link below. You can also read about the Henry Brainerd McClelland Award letter awarded to CRA and Waterwild Farm in 2003.